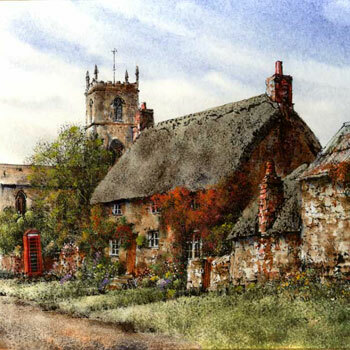 Reg Siger is a self-taught artist who, for the last 30 years has specialised in depicting old cottages, farmhouses, village and town scenes. 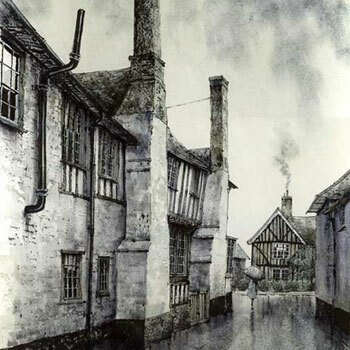 Reg’s work concentrates on the historical aspect of the subjects, reflecting his fascination for old architecture. His paintings rarely feature cars, traffic signs or any other modern paraphernalia, giving the scenes a flavour of times gone by. 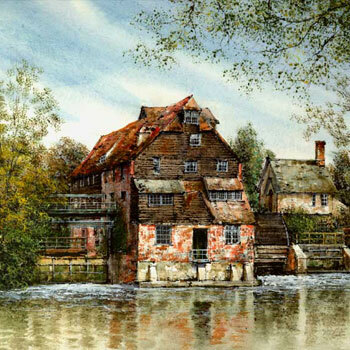 He exhibits mostly in East Anglia, UK, in churches, church halls and village hall art shows, plus a few selected craft fairs. 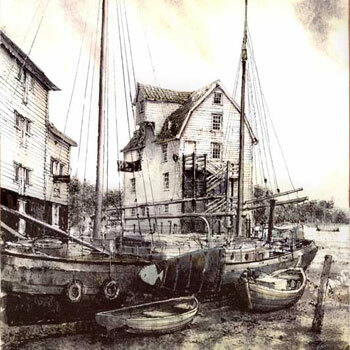 His work is exhibited in many local art shows, mostly in East Anglia, and at his home gallery (viewing by appointment). See the exhibitions page for details. 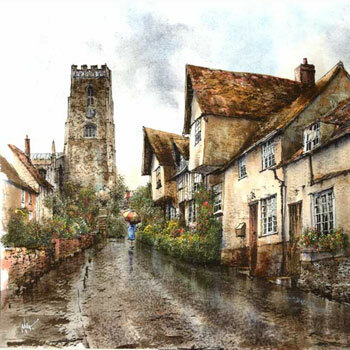 Reg likes the challenge of trying to find unusual views and angles of well known scenes of the town or village where the art shows take place. His working technique is unorthodox (so they say!) and consists of a strong drawing executed with a brush and black waterproof ink, which is then filled with acrylic paints. 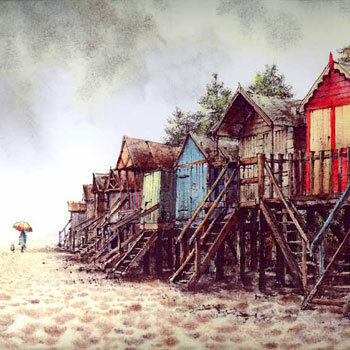 Reg seems to be one of the very few artists painting rainy scenes. 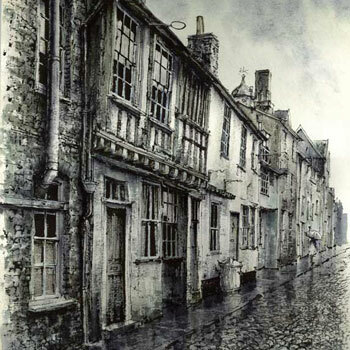 Some of these are almost colourless as he uses only three shades mixed to produce interesting greyish tones, giving these paintings a lot of atmosphere. He does take commissions if the subject is compatible with his style of work. 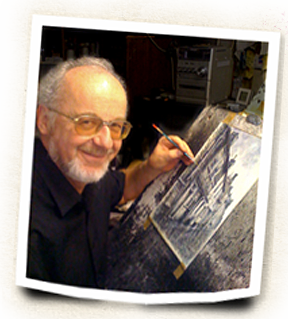 Reg Siger has produced a demonstration DVD and is a contributor to Leisure Painter.